There is nothing more "Polish" than pierogi. 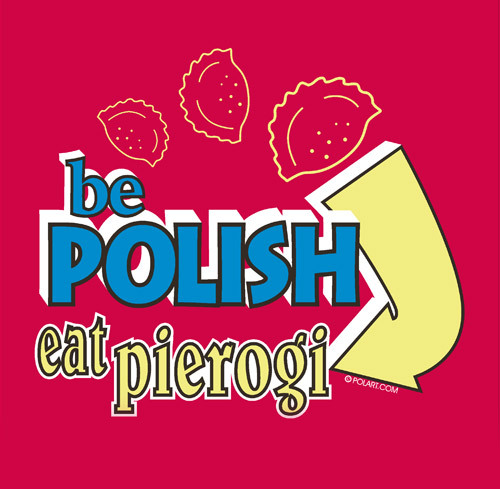 This beautiful red shirt will proclaim your hunger for this delicious food with the slogan "Be Polish, Eat Pierogi". No one will doubt your patriotism again!